Naadodigal 2 directed by Samuthirakani is under post-production stage now. Film stars Sasikumar, Anjali, Athulya Ravi and Bharani in lead roles. Produced by Madras Enterprises. It looks like the promotional team has planned something different apart from the regular publicity. They are introducing something new called ‘Just Look’. It will be launched by actor Suriya on 2nd July (Monday) evening 5pm. Hope it will take the expectations to the new height. 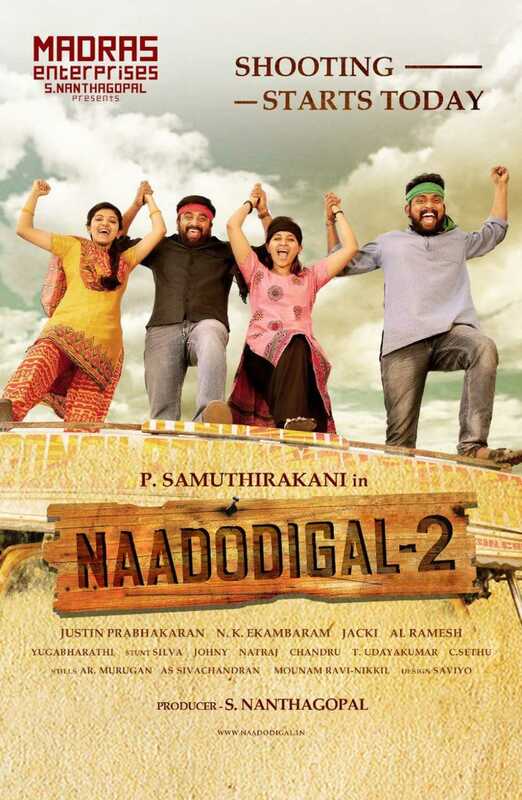 Already Naadodigal 3 is planned, so we can trust a promising sequel to the 2009 super-hit has been made. >>Important Update on Samuthirakani's Naadodigal 2!